Can you spot the Doctor Who reference? Today is the first day of NaNoWriMo! Are you stressed out yet? I know I am. I've been preparing myself. I made a (failed) attempt to clean off my desk. I bought whole new boxes of Twinings Earl Gray and Irish Breakfast teas. I've hid some Halloween candy away from my father. I'm almost ready! I made my last preparatory stop today, at Lush. Lush is a British soap company that makes the most wonderful, environmentally safe, vegan and just plain awesome products. I'm a Lush addict and figured some nice new hand lotion would help me keep my digits in tip top writing shape since it's quickly become bitterly cold outside here on the East Coast. I bought my items and looked the new Christmas catalog over as I rode the train back home. You'll never believe what I saw inside those lovely scented pages. Doctor Who is a Lush fan! Yup, that's right, folks. 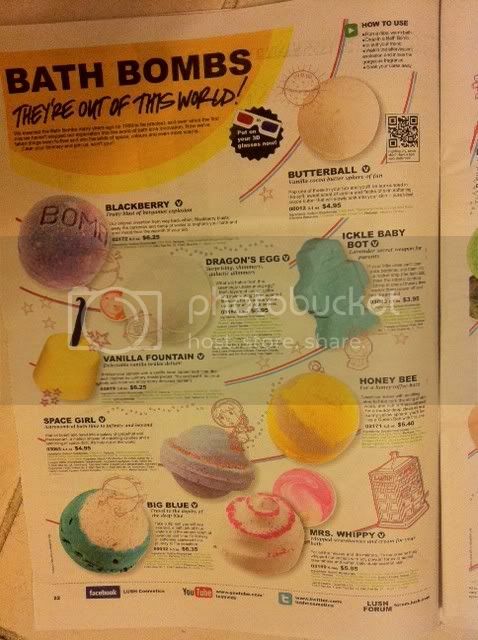 That's a TARDIS right there, swirling through the planet-like orbs of fizzy bath soaps. Maybe he got lost on the way to the 9th orbital star of Omekyu, or maybe he was trying to reach the Sun King before the sun set on his reign? 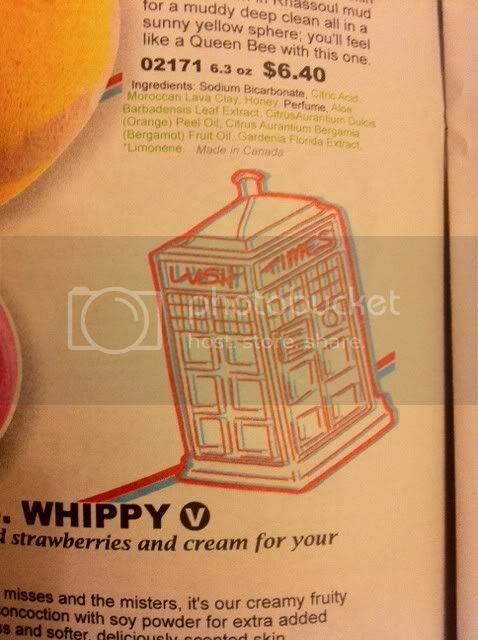 Whatever the case, Lush seems to have a Doctor Who fan on the design staff. Keep on being awesome, Lush!